Lately our mealtimes and even snack times have been a little hard with Hudson. He has always been our "tougher" eater, compared to Lola who eats just about everything. Our go-to foods that he always liked before are all of a sudden no longer of any interest to him and we have been left playing this guessing game. As someone who clearly loves food and cooking this has been difficult for me to process and navigate. 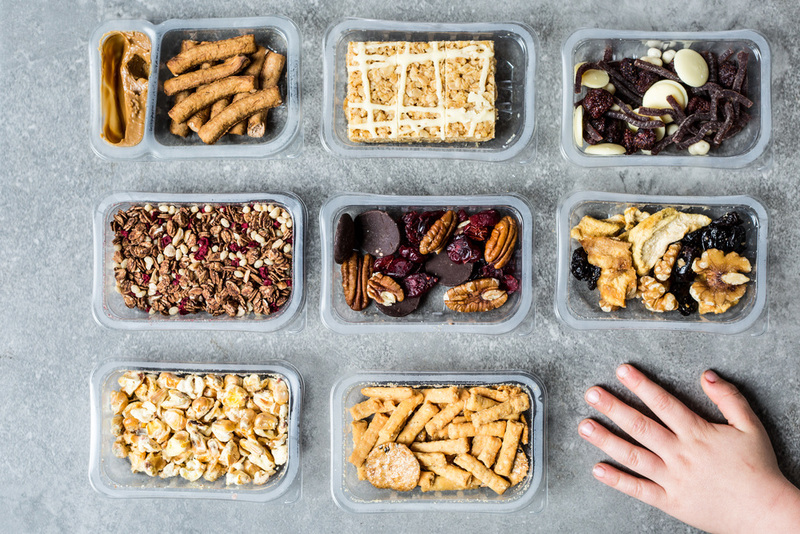 When Graze asked if we would like to try their snack subscription I immediately said, sure, let's do this! We received our first box, and Hudson loved it. 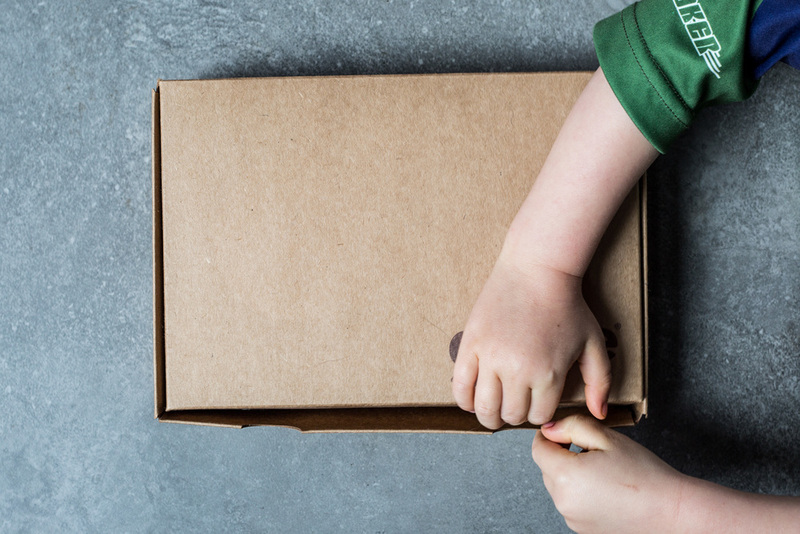 Now we have been putting the snack packs in his school lunches, eating them during movie night, and most importantly, packing them with us in the car for running errands. Beyond eating them simply as snacks, I have used them as other ways to get Hudson to eat more fruit, yogurt, cottage cheese, you name it, by simply just adding the snacks on top. Recently we have been roasting up some rhubarb (and here soon strawberries!) 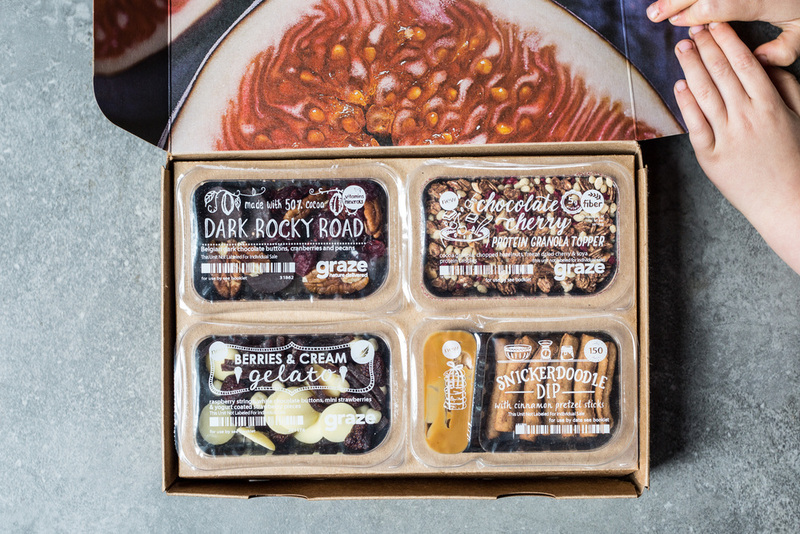 and topping our yogurt bowls with the vanilla rhubarb with juices and the granola snack pack. 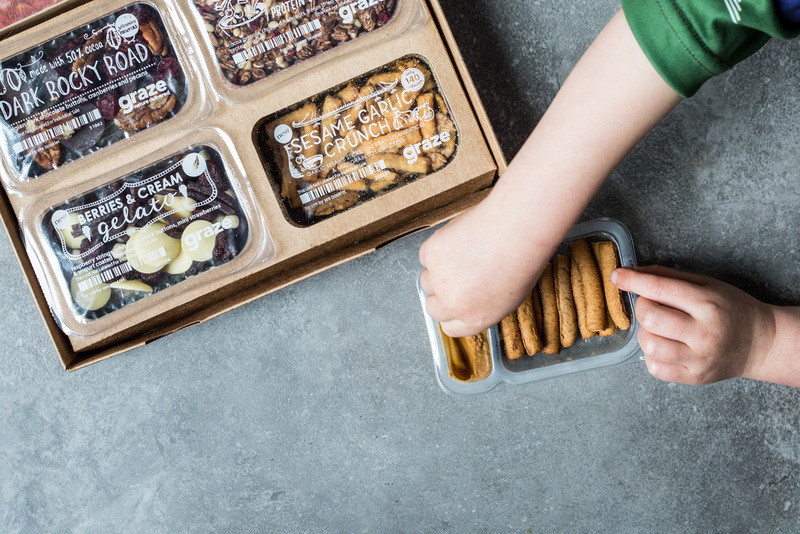 Graze is offering when you sign up for their subscription, that your first box is free! Place rhubarb pieces into a bowl and toss with sugar and scraped vanilla bean. Place rhubarb in a baking dish, cover with foil and bake for 15-20 minutes until tender and juices are released. Remove from the oven and set aside. 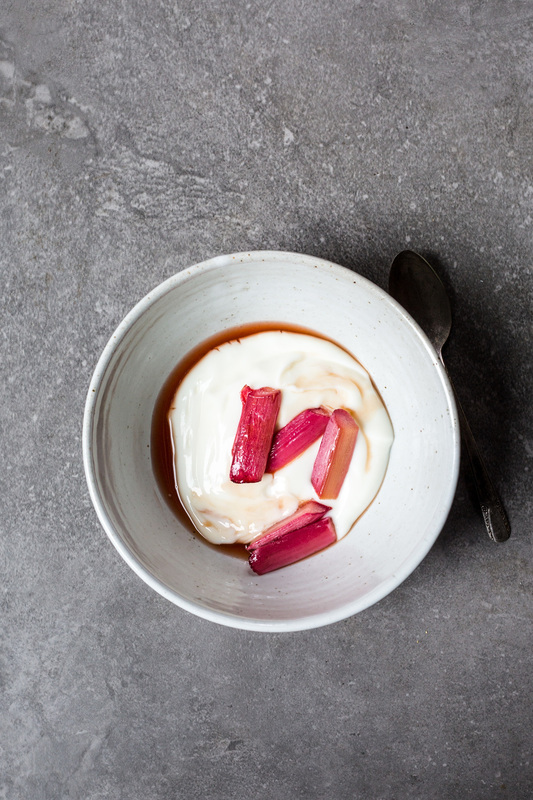 Serve 1/2 cup of yogurt into each bowl, top with rhubarb and rhubarb juices and 1/4 cup of granola.